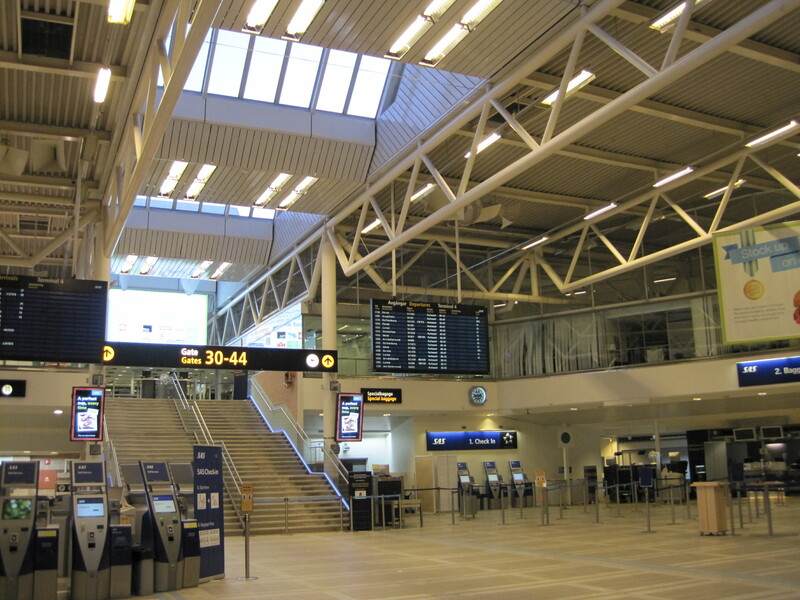 Here I want to share my personal impressions of various public lighting solutions. Took some snap shots to illustrate (photography is not my forte, but hopefully decent enough to give an idea). Found a video of the installation, with better images of the finished results. These LED lamps have a promised life of 50.000 hours, although economic life is estimated to be shorter by a factor of 0.8 (not exactly sure what that means) which has to be balanced against initial high price while still requiring maintenance every 4 years like other road lamps. 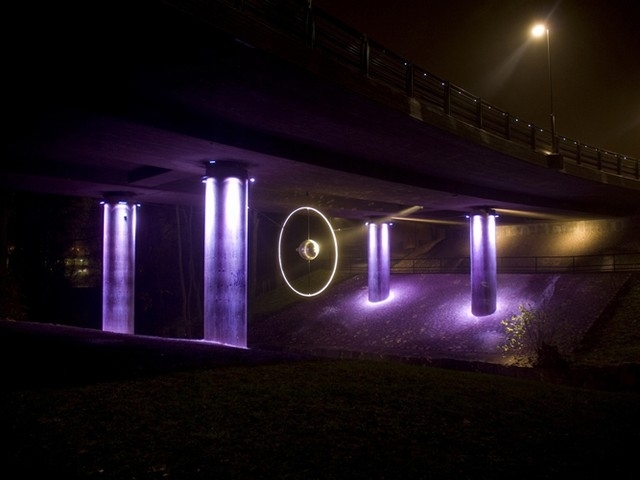 It seems this is one of several experimental installations included in the Swedish Traffic Administration’s project called New Light, aiming to cut road electricity consumption in half by 2016, and funded by the EU-project ESOLi. On a more positive note, I was visiting another Stockholm suburb recently where the old HPM street lights had been replaced by a ‘cobrahead’ with warm-white high-power LEDs. Probably one like this. 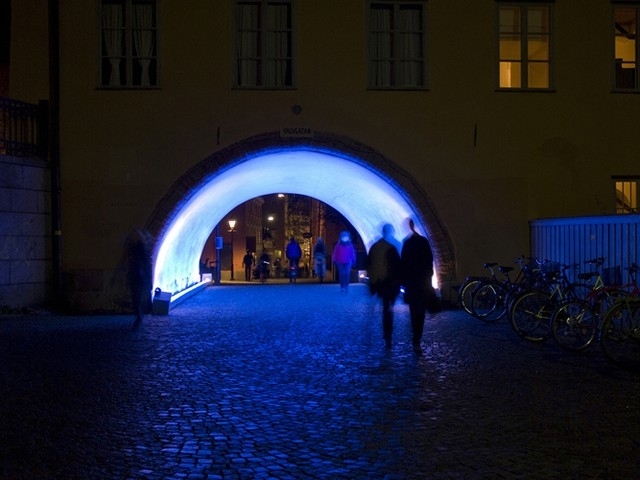 This was much better than the cool-white LEDs in the tunnel! The light colour was a nice and balanced golden-white, not yellow, pinkish or greenish as the cheaper ‘warm-white’ LEDs often are. Not as glaring as the cool-white LEDs (unless you looked right up at it) and bright enough to light up the street well (at least now in the beginning). 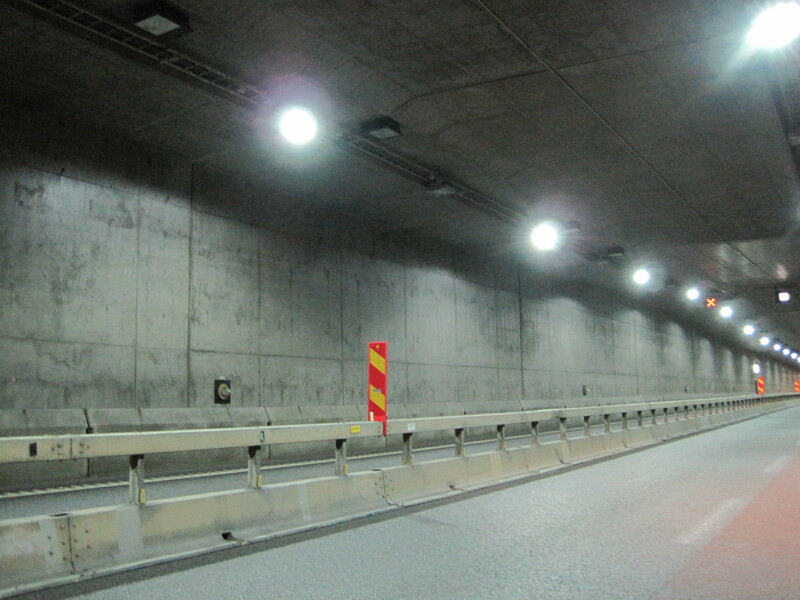 If LED light last as long as claimed without losing too much output over time, this might be an option at least for highways where stopping traffic to replace lamps is an extremely costly affair. Better color rendition also gives better vision, which helps keep accidents down. 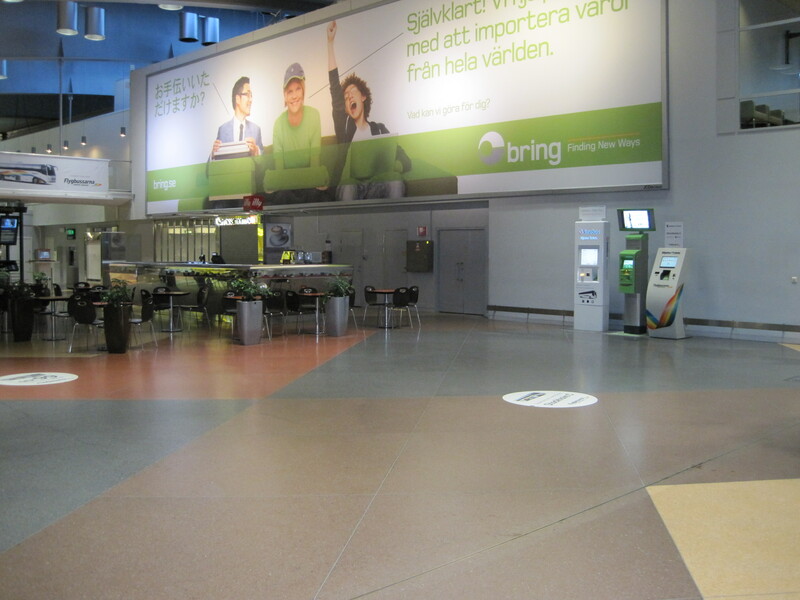 Then I went to Arlanda airport to check out the warm-white LED lamps in Terminal 2. 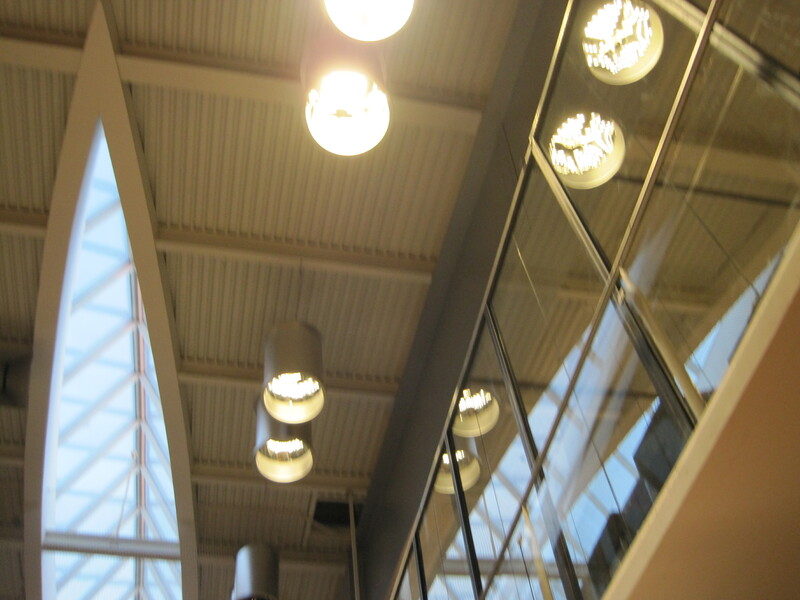 Huge tubular luminaires, specially designed for maximum reflection, combined with large boat shaped skylights to let daylight in. Quite incandescent-like light colour.Here I managed to capture in the glass reflection all the little light dots inside, which in real life are quite visible to the naked eye. But the depth of the barrel-like luminaires gives a decent enough shield against glare unless one looks straight up at them. 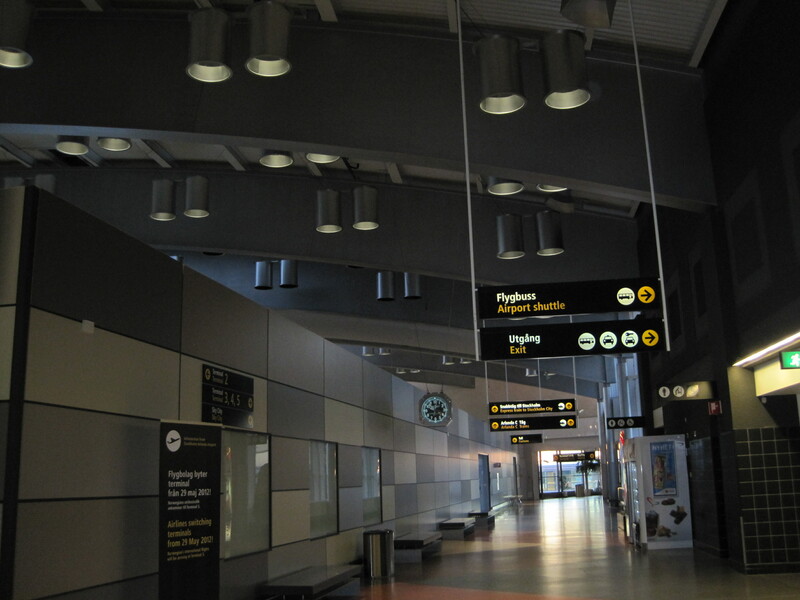 But despite there being a great many of these LED barrels, the light was not as bright as the fluorescent-lit Terminal 4. 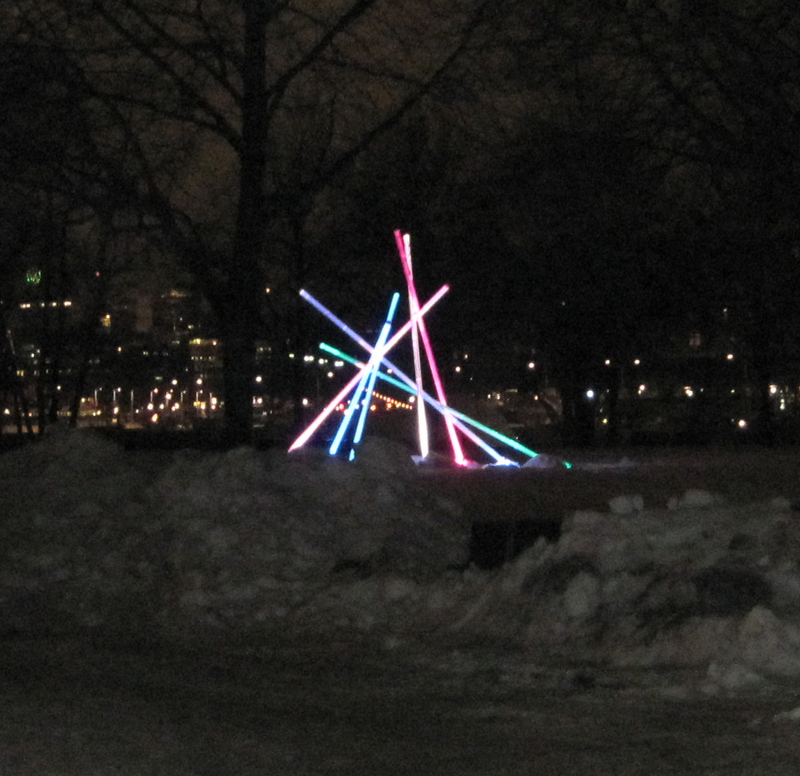 Two winters ago I was at a Light Event in Djurgården, Stockholm, arranged by Quist AB, that had around 20 different installations with coloured LED light. Really creative and fun! 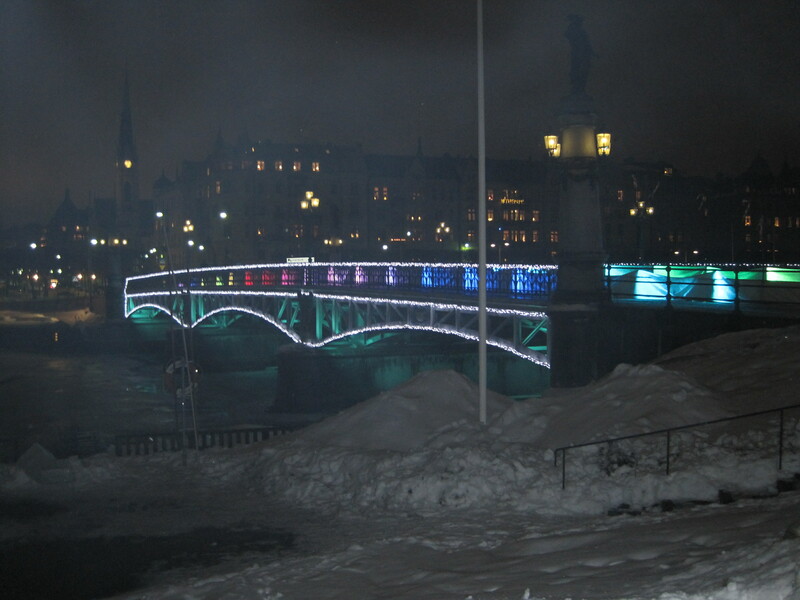 They have also arranged Light Events in other cities, using coloured LED to illuminate everyday spaces in an exciting new way. This is how LED light is best used, in my opinion. 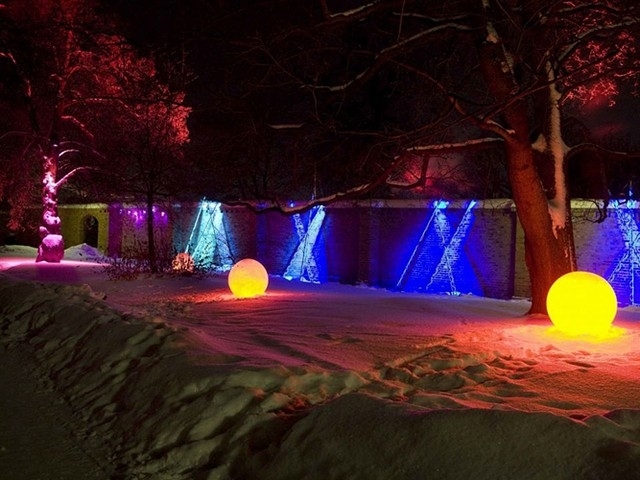 For decorative purposes, it seems LED light has infinite potential.